Designed by Susybee for Hamil Textiles, this cotton print is perfect for quilting and home decor accents. Colors include shades of lime green, pink, grey and black. 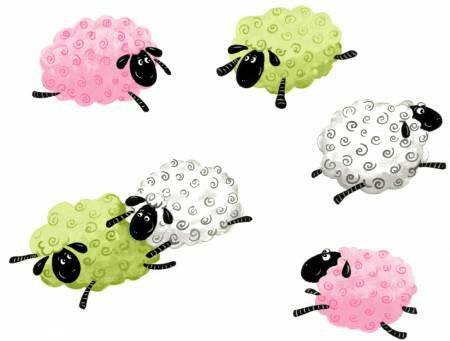 Add these sweet lambs to the fun cotton panel and what a sweet addition to any baby nursery. Take a look at this fabric and the other coordinating fabrics we have in stock. All fabrics from The Quilted Nursery Children's Fabric Store is cut directly from the bolt in continuous yardage. We also offer fractional yardage cuts for your convenience. Same day shipping always.